Chicago Burglary Attorney | Cook County Theft Defense Lawyer - The Davis Law Group, P.C. Contact Northfield Theft Defense Attorney The Davis Law Group, P.C. The defense attorneys at The Davis Law Group, P.C. represent clients charged with burglary throughout the Chicago area. Burglary is a serious offense and one of the most common felonies committed in Illinois. Burglary occurs when a person knowingly and without authority enters or remains within a building, housetrailer, watercraft, aircraft, motor vehicle, railroad car with intent to commit a felony or theft. Burglary is commonly charged as a Class 2 felony. If committed in a school or place of worship, it is charged as a Class 1 felony. Residential burglary occurs when a person knowingly and without authority enters or remains within the dwelling place of another with the intent to commit a felony or theft. Residential burglary is charged as a Class 1 felony. In the State of Illinois, the legal definition of a burglary is an act of illegally entering a building or car with the intent to commit theft. There are three types of burglary: residential burglary, commercial burglary, and car burglary. Residential burglary is an act of illegally entering someone’s house or an apartment with the intent of stealing something. Commercial burglary happens when somebody enters a business in order to commit theft. Car burglary is an act of breaking a car window or forcing open the car door in order to illegally gain entrance into a car with the intent of committing theft. Burglary in Illinois - What is the Law? Burglary definition and sentencing guidelines can be found in Illinois Compiled Statutes (ILCS) Criminal Code of 2012 ( 720 ILCS 5/). Residential burglary cases are the most common type of burglaries in Illinois. 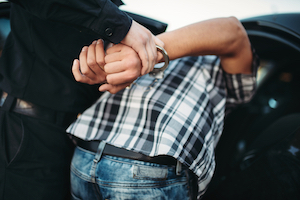 If you are charged with committing the crime of burglary, it is important that you contact an experienced criminal defense lawyer right away. A conviction for residential burglary, even a first offense, will make you ineligible for probation. An attorney experienced in handling burglary cases may be able to challenge the charge or at least negotiate a reduction to allow for a sentence of probation. Illinois is one of a few states where the law says that the crime of home invasion is a wholly separate offense from residential burglary. Home invasion differs from residential burglary - for a home invasion to occur, the defendant needs to enter a house of another person while people are physically present. The defendant needs also to cause injury to another person or employ force while armed with a dangerous weapon. In Illinois, home invasion is a serious crime and as such carries severe penalties. Home invasion is a Class X felony and as such carries a potential sentence of between six and thirty years imprisonment and a fine of up to $25,000. A conviction for burglary in Illinois can carry serious and potentially life-altering consequences. If you have been charged with burglary or residential burglary, please do not hesitate to contact the criminal defense lawyers at The Davis Law Group, P.C. to discuss your case.